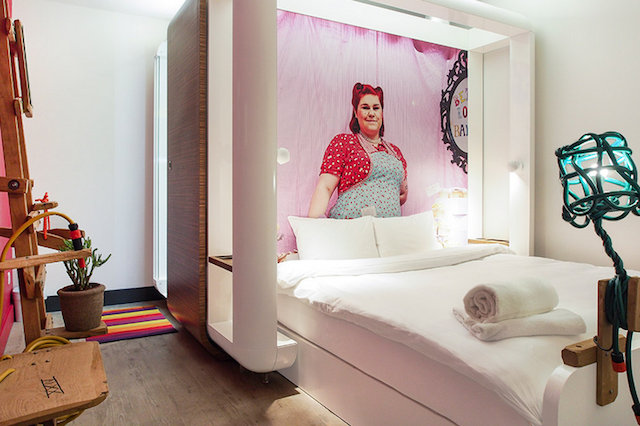 The London version of Qbic Amsterdam – a most unique concept based on a budget hotel stay that is a fun and quirky experience. Feeling sleepy? Take a nap in a “Cubi” – a cuboid which comes with a nice bed along with a 32-inch flat screen TV. Rooms have a cool and modern shower room, black out curtains and nice sound-proofed walls to make sure you remain undisturbed during your sleep. Located in Shoreditch, you’ll be within the vicinity of bars, art galleries and vintage boutiques. The price? Starts at £69 per night. 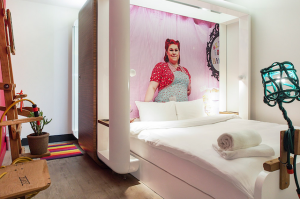 This popular Dutch hotel group brings its own idea of affordable luxury to London. 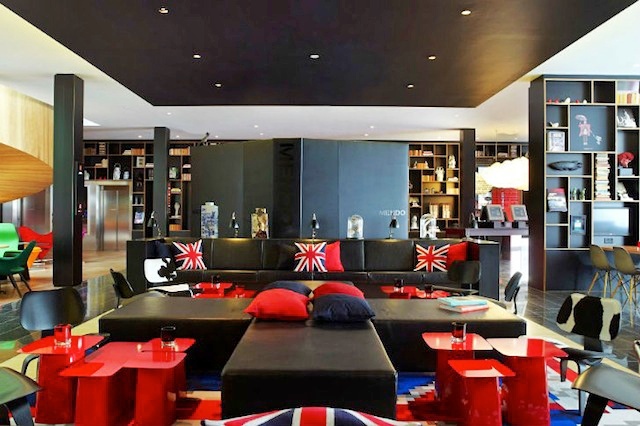 Edgy along with a free usage of colour in the design, this hotel is anything but lame. Located in Southwark, all of the futuristic rooms have free movies, internet, rain shower, huge windows and a nice king-sized bed. There’s also a MoodPad gadget that allows guests to control the room’s array of electronics. The Price? Starts at £99 per night. One of London’s hippest new hotels to be found today. The super trendy chain started in the US but is great match for all the Shoreditch hipsters. The design is ultra cool, minimal and playful with a range of British touches, from punk to clean modernism of the Bauhaus. 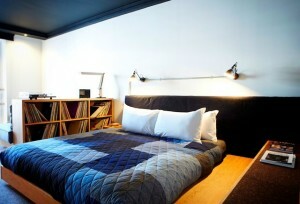 Rooms include vintage furniture, artwork, flat TV with Ace video on demand. There’s also a well stocked minibar and complimentary Wi-Fi. Some rooms even have turntables along with a selection of acoustic guitars and vinyl. The Price? Starts at £110 per night. So there you have it folks! Choose the hotel of your choosing and enjoy everything London has to offer!